Set in a beautiful valley in the Himalayas, the story unfolds as we see a young boy lead two cows to graze in the meadows. His mother walks a distance behind him, after a while the boy turns around to look for his mother but he cannot see her. He rushes back only to find her lying on the ground dead of a heart attack. At this point, we realize that the boy (played by the director’s son) is mute. His father is a drunkard who squanders all the money he makes on liquor, and looks upon his son as a burden - he curses the day that he was born, and abuses him physically even as the boy tends to his every need, tucking him lovingly in bed and serving him his meals. The boy is condemned to a lonely life, the two cows are his only companions and he cares for them lovingly. He spends the day with his cows just sitting and gazing at the pristine beauty of the Himalayas, returning home at dusk only to find himself locked out of his home, forced to wait in darkness until his drunken father returns, he reaches out for a gesture of love but is cursed instead. One day when the boy is tending to the cows two men approach, the boy’s father is not too far behind, he has decided to sell the cows to support his drinking habits, when the boy protests he is rudely driven away. 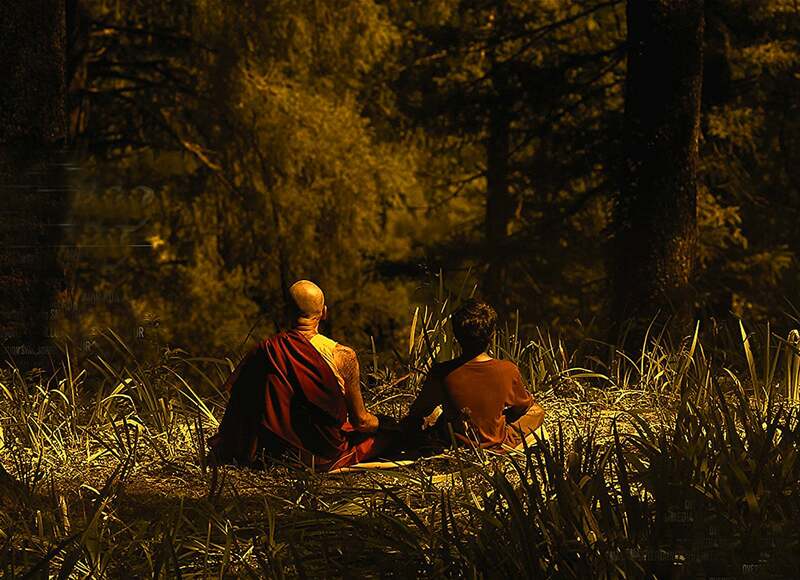 One day the boy comes across a Buddhist monk who takes him under his wing, teaching him the value of the sound of silence and it is not too long after that the boy decides to join the Buddhist monastery. But his solitary life is not over as the young students shun him because he is different. Eventually, he is accepted, but the longing to be loved by his father still persists. The film is supported by a lovely score by composer Issac Thomas and is directed by Bijukumar Damodaran, who is actually a homeopathic doctor who one day, after seeing the works of Turkish and Iranian directors at a local film festival, decided to become a filmmaker. He did not appreciate the films generally made in India because he believed that films could be a tool for social comment. “I make films for myself”, he says - but his films have garnered him a number of awards on the world stage.